Welcome Beautiful Spring - Free 8X10 Spring Printable | Happy Deal - Happy Day! Happy Spring!! 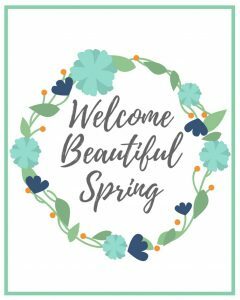 Let’s celebrate with a free 8×10 spring printable! It doesn’t have to cost a lot to brighten up your space in your home and add a splash of springtime colors in your house! 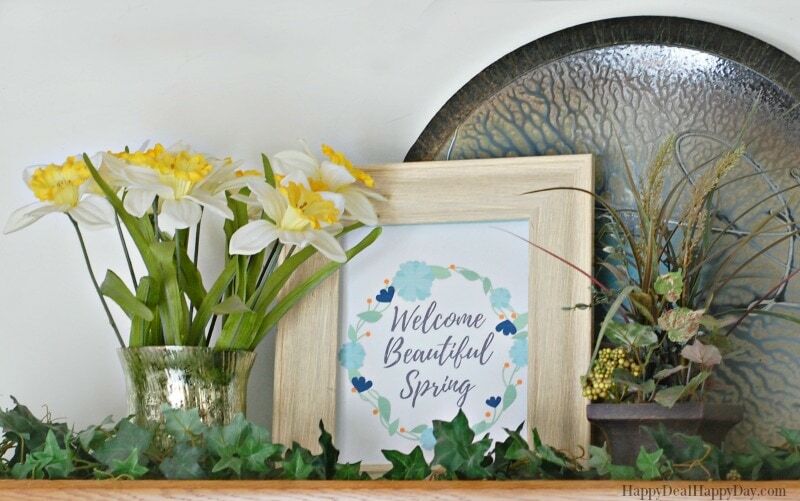 Simply get an 8×10 frame, and print out this “Welcome Beautiful Spring” right on your printer! You could get a frame as cheap as $1 from the dollar tree. In fact, I may have spent less than that on my frame that I found in a thrift store! Fill out the form below and the PDF file will be e-mailed to you where you can print it. 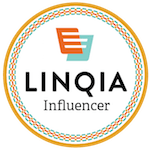 Subscribe to get my latest content by email. Your "Welcome Beautiful Spring" 8x10 will show up right in your inbox! Success! Now check your email to confirm your subscription and to print your free download! Enjoy this free 8X10 spring printable and e-mail me pictures of where you used it in your home!